Hi, I'm Victor Ariama (A.K.A. 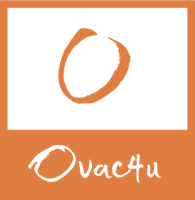 OVAC4U)! Welcome to my first blog post. As a lover and contributor to open source and seeing the increased number of visitors on my simple about-me website, I thought it will be fun to have a blog where I could share and sneak peeks, behind the scene pictures, and also to share some technical information, news and probably joke around from time to time. First, let me tell you a little about myself. My name is Victor Ariama and I am one of those africans who finds himself wanting to jump at every new web technology I can lay my hands on. I am 23 years old young and I'm a final year undergraduate student chasing my bachelor's in business management and computer studies from an elite university in Ghana (Wisconsin International University Colledge). I was born into a family of 7 (3 kid sisters, one lovely brother and of course my beautiful mother and an elegant father) in Lagos Nigeria. I first visited Ghana in 2011 and then I moved to Ghana in February 2012 and have been based here ever since (It is a beautiful and peaceful country). I do not have much as a hubby because in my spare time, I write codes and every other time, I read, study, and write more codes. I hope to use this medium to share views on my porpular phrase dubbed life of programmer which is based on my experience and challenges from day to day as an african developer. 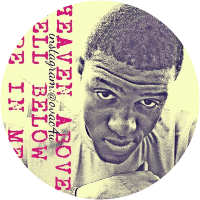 Please come around from time to time so that there'll be someone reading my posts, and I promise to keep the content of this blog rich and interesting.